An oval heritage brass colored cast Attitude buckle with a thick twisted rope trim. 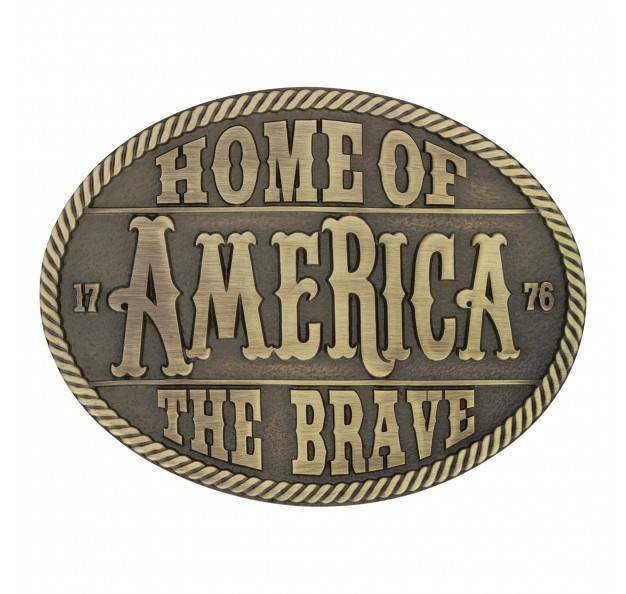 The words 'Home of the Brave' and 'America' emblazoned across the front of the buckle. Standard 1.5 inch belt swivel.